Safety is paramount in the workplace. IPS Group’s range of leading safety systems ensure the wellbeing of your workforce whilst operating in the roof area. When installing a new roof on your business premises, it’s important to include a variety of safety features to ensure that your employees stay well protected. IPS Group are fully trained to design and install a wide range of fall restraint and arrest safety line systems. 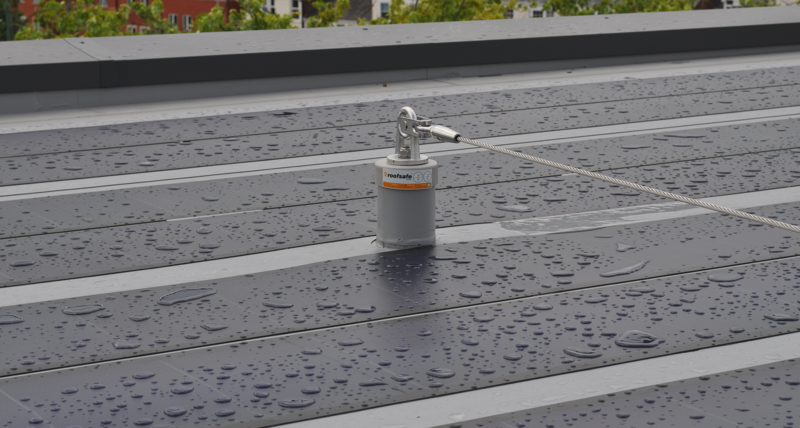 Installing a safety system provides you with vital peace of mind, knowing that you have a single point of responsibility for both your roof and safety line system. If you’d like to discover more about our range of roof safety systems, simply get in touch with the team today by calling 01969 625000 or emailing info@ipsroofing.co.uk. All IPS Group safety systems are rigorously tested and compliant with the necessary standards, to protect the safety of your workers. They also come with full warranty, and feature complete quality guarantee. Installing a safety system means a single point of responsibility, both for your roof and your safety line system. It streamlines and simplifies the safety process, and offers invaluable protection for workers in the vicinity. IPS Group are partnered with industry-leading safety equipment manufacturers, including Capital Safety (Uniline), QBM SOTER and Kingspan (Safepro2 Systems). Our expert installation process guarantees optimum levels of safety. Why invest in safety systems? By investing in the necessary safety equipment for your roof, you’re acting in full compliance with the law, and protecting the health and safety of workers in the vicinity. Capital Safety, QBM SOTER and Kingspan are renowned in the industry for their high quality equipment and excellent reputations. Additionally, IPS Group’s leading services ensure safe, secure installation, every time. To find out more about IPS Group’s range of safety systems, or to arrange a free consultation, simply get in touch with the team today.